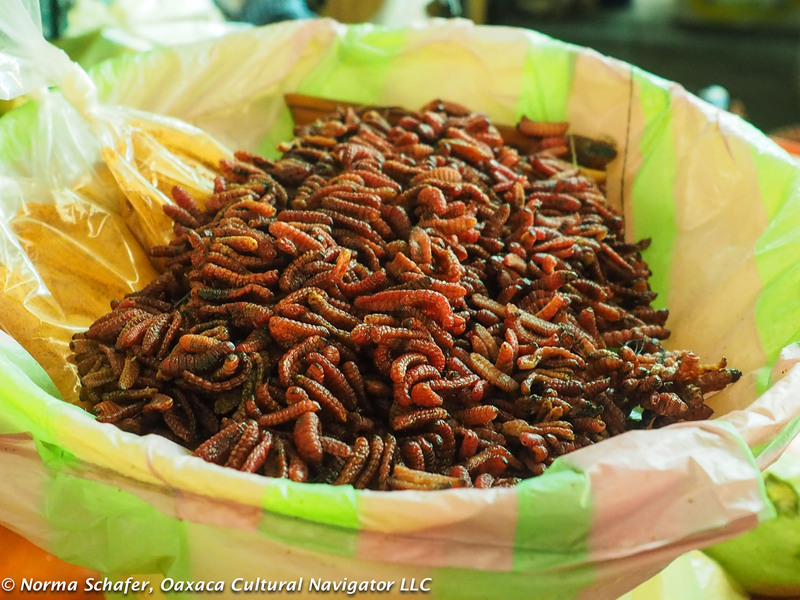 I asked my writing sisters who attended the 2017 Women’s Creative Writing and Yoga Retreat to write about their experience tasting Oaxaca edible bugs after I wrote the essay for Mexico News Daily. I just heard from Lee Schwartz, who offered up this poem as a taste bud tickler. and religion has nothing to do with it. I say, more for me. to kill an animal to have a meal. matzoh, chicatanas on a bun. to turn down fries, fructose or fajitas. I love to pick the little legs out of my teeth. with nutty bread crumbs is quite a delicacy. scraps of ants and hoof legged lamb. the dreaded morsels of sustainable love. Interested in participating in 2018. Dates are set: May 2-9, 2018. Still working on a place. Send me an email if you are interested. This entry was posted in Creative Writing and Poetry, Cultural Commentary, Food & Recipes, Workshops and Retreats and tagged ants, chicatanas, conference, creative writing, edible bugs, food, grasshoppers, gusanos, Mexico, Oaxaca, poetry, workshop, worms. Bookmark the permalink.